What to Ask: Incorporation and Business Operations | Jason Brown, Esq. Should I have a lawyer on retainer? Absolutely yes! I know it's a self-serving statement, but money spent on quality lawyers will save time, money, litigation and aggravation down the road. What is the best way to avoid litigation? You should consult with a variety of professionals, not just transnational lawyers or people who draft documents, but individuals who have been through the nuts and bolts to litigation and discuss what thrust them into litigation and what brought them out. Yes: There's a chance you can be held personally liable. First, you want to make sure your business is set up properly to insulate yourself from liability and second you want to educate yourself on things that can pierce the corporate shield and avoid going into those areas. Payroll is critical and making sure employees are paid properly for the work they do is an important area of the law increasingly referred to as wage theft and causing an employer to pay attorney's fees, double damages, and expenses and even more. Further there could be personal liability as well as corporate. Make sure that you're in conformity with the law regarding proper pay to employees. If you think you have a clever idea to pay employees, make sure you have an opinion letter from a lawyer or an accountant that enables you to do it or you can find yourself in very hot water.What is the best way a small business owner can protect personal wealth and assets from business risks?\nMake sure your assets are completely separate from the businesses. Critically, ensure that the business is a separate entity. Structuring things the right way will avoid landmines down the road. As a small business owner, you need to focus on the business, not legal distractions. Having reliable counsel to turn to can assist in avoiding lawsuits, problems with employees, and also potentially make some litigation stand down. Also, quality counsel will go over the options, and make sure you make an educated decision regarding whether litigation, settlement or some other avenue is the best course if you find yourself being sued or wanting to sue. Yes - there's a chance you can be held personally liable. First, you want to make sure your business is set up properly to insulate yourself from liability and second you want to educate yourself on things that can pierce the corporate shield and avoid going into those areas. Make sure your assets are completely separate from the businesses. Critically, ensure that the business is a separate corporate entity AND take the time to conform with the laws to make sure the corporate entity is valid and distinct. How many regulations and laws there are. How complicated a lawsuit is and that even if you're 100% correct, it may take time and money and resources to have the case dismissed or win a trial. Proper planning can avoid some of these pitfalls. Structuring things the right way will avoid landmines down the road. As a small business owner, you need to focus on the business, not legal distractions. Having reliable counsel to turn to can assist in avoiding lawsuits, problems with employees, and also potentially make some litigation stand down. Also, quality counsel will go over the options, and make sure you make an educated decision regarding whether litigation, settlement or some other avenue is the best course if you find yourself being sued or wanting to sue. Higher end lawyers charge more money, but you are paying for their wealth of experience and their ability to hopefully stymie litigation against you, efficiently manage litigation you need to commence and properly plan to avoid as much defensive litigation as possible. Research the lawyer and find out their accomplishments. Have they handled litigation in the millions or do they work out of their garage and poorly copy and paste forms? Generic work product will foster negative results. Specifically, contouring things to your needs may cost a bit more, but will help insulate you more which is one of the goals. Regularly and proactively discuss matters with counsel and discuss with them the business agenda. Astute successful lawyers are inherently part of a successful business and when they help you with your vision to avoid litigation, they may also provide insight about the business plan and what has worked for them or other clients and equally important, what has caused similar plans to fail. Equity should generally be determined based on contribution. Contribution does not have to be just economic, it can be time spent working, the idea person, etc. Have a working agreement going in so everyone knows how to get out. Make sure you're all on the same page? Who is funding the business? What happens when the business needs to make a capital call (raise funds)? Who is putting in all the hours? Having partners is like a marriage, and no matter what percentage of equity, it can become very ugly very quickly if you haven't worked out who's doing what and how to leave gracefully if needed. Determine why the business is for sale., How long have the employees been there? Are there any key employees who would be hard to replace?, Conduct as thorough of analysis of the business as humanly possible to include viewing any and all documentation regarding value, sales, assets, taxes, liabilities, lawsuits, threatened lawsuits, complaints and more. Can I be held personally liable for things that happen with my business. Yes – there's a chance you can be held personally liable. First, you want to make sure your business is set up properly to insulate yourself from liability and second you want to educate yourself on things that can pierce the corporate shield and avoid going into those areas. Jason T. Brown is a seasoned attorney who served as a Special Agent and Legal Advisor for the Federal Bureau of Investigation. Mr. Brown is renowned nationwide for his legal acumen and has been bestowed such honors as Top 100 Trial Lawyer from The National Trial Lawyers, Top 10 Attorney Award from the National Academy of Personal Injury Attorneys and Top Rated Attorney for Class Actions and Mass Tort. He is rated AV+ preeminent, the highest possible rating by Martindale Hubbell, and has received a perfect 10 out of 10 on AVVO. 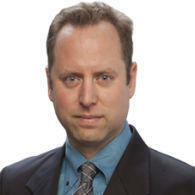 He is a methodical and tenacious litigator who has a keen strategic eye and sixth sense for winning complex litigation.